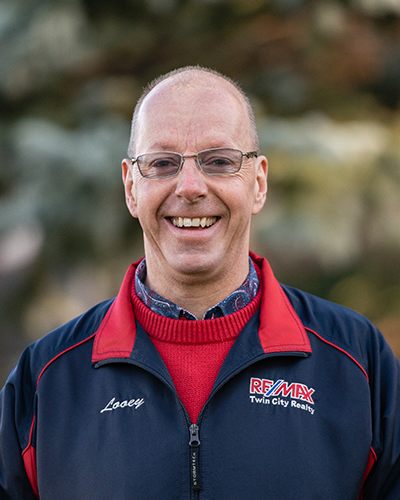 I am a respected Kitchener-Waterloo Real Estate Broker with RE/MAX Twin City Realty Inc. in Kitchener, Ontario, the city where I have been a realtor for over 25 years. I’m also Broker/Owner of RE/MAX Belize Property Center in Belize where I am also the Founder/Developer of a 130-acre eco-village in the Maya Mountains named Better in Belize. A team player, on and off the court, I’ve been enthralled with Pickleball since 2013. I’ve been playing ever since, bettering my game over the years to compete in provincial, national, and international tournaments in the Kitchener-Waterloo area and in Naples, Florida. An avid athlete, I used to play tennis, gnip gnop, squash, badminton, and racquetball; and have taught tennis, hockey, water-skiing and Salsa dancing prior to bringing my Pickleball prowess to the Kitchener-Waterloo area. Decades ago, I launched my Kitchener-Waterloo real estate career servicing the first-time home buyer market. Over the years, many of those first-time purchasers evolved into clients who have bought and sold properties in Kitchener-Waterloo several times over. My longstanding and successful business has been built upon this foundation of repeat and referral-based business, while actively expanding sales reach in the Kitchener-Waterloo real estate market. I took an active role as Exclusive Listing Agent in a 98-unit condo conversion project, aiding the developer in the conversion process, working with contractors during the renovation process, and marketing and selling the units to a demographic largely comprised of empty nesters, young professionals, and senior citizens. My early involvement with this Kitchener condo project has paid dividends over the years with the listing and sale of suites in this upscale condo in Kitchener. While maintaining my foothold in residential re-sales in Kitchener-Waterloo, I also undertook new home sales for a local Kitchener builder; acting as Listing Agent for a complex of townhomes in Waterloo, Ontario. Over the years I have bought, sold, developed and managed commercial, residential, multi-family and investment properties in the Kitchener-Waterloo area and abroad. I am an accomplished and finesse-driven professional with a passion and tradition for delivering exemplary service and results to clients. I specialize in selling real estate in Kitchener-Waterloo and surrounding areas and I know these communities well, having been raised locally in Elmira, Ontario. I have been a consistent leader in the industry and a member of the Kitchener-Waterloo Association of REALTORS® (KWAR), Ontario Real Estate Association (OREA) and Canada Real Estate Association (CREA). As a Director of Sponsorship for minor hockey and past Coach/Trainer for the Junior Rangers and local Ball Hockey, I have forged great connections in the community. My successful fundraising and volunteer activities expose me to buyers and sellers at all price points. My responsiveness, astuteness, professionalism and congeniality are the driving force behind my successful real estate career. If you want to list your home in Kitchener-Waterloo or the surrounding area, please grab your phone and call me now. If you are a buyer who is looking for a home in Kitchener-Waterloo, I will turn your search for a home into an adventure and a successful venture! Call me now – 519-579-4110. Or text me at 519-503-0500. When you love what you do, there is no such thing as work! By choosing to work with me, you are choosing someone who is committed to giving you exceptional service with successful results. I am detail oriented, highly disciplined, and driven to get the job done regardless of the obstacles. I joined Re/Max Twin City in 2013 where I quickly established myself as a respected Realtor achieving a numerous Sales Awards. Knowledgeable with the local market, I strive to offer personable and professional service, where my clients best interests always come first. Honest communication is of utmost importance to me as I guide clients toward achieving their real estate goals. I am extremely accessible, working seven days a week, often well into the evening. I honour the importance of maintaining relationships based on trust and integrity. I attribute my success to be completely built on hard work, honesty, and professionalism combined with a positive, winning attitude. When I'm not working, you'll probably find me cheering on the sidelines. My two teenage boys keep me busy between hockey rinks and soccer fields. And when time permits, I volunteer at my children's schools, the local YMCA as well as KMHA. Since becoming a Realtor in 2015, Syd has prided himself in his passionate and heartfelt drive to serve his clients’ best interests. He is dedicated, knowledgeable, and committed to finding the perfect fit, whether apartment or home, for his clientele. His devotion and unparallel customer service has resulted in a continuously expanding network of loyal clients and referrals. Passionate to his craft, he continuously seeks to stay ahead of the game when it comes to market education and trends. Whether rooting on the Jays at the Rogers Center or playing local hockey with friends, in his free time, you can find Syd watching or talking sports. An avid explorer of the city, he loves to try new restaurants and check out local music and neighborhood festivals. Syd has experience in helping Buyers find that home near the University for Parents and Students alike. And Syd completely understands the First Time Buyer and knows that what they really need is for him to walk them through the process and explain each step as they go as well as providing the research to ensure that the First Time Buyer is comfortable with the offer being presented. I joined RE/MAX Twin City January 2012 following successful career in several fields of information technology. The foundation of my business is honesty, integrity, responsibility and a strong dedication to providing my clients with the highest level of accessible service to help them achieve their real estate goals. I strive for sincerity and diplomacy in all my dealings and to be someone in whom my clients and colleagues can have trust in. Born and raised in Kitchener-Waterloo, I offer a comprehensive knowledge of the tri-cities, surrounding areas and an in-depth understanding of what makes each distinct residential area unique. I value relationships over transactions, and much of my business comes from repeat clients or referrals. I understand that buying or selling is one of life’s biggest decisions. The representation and guidance of my clients through this process is a privilege that I feel truly honoured to be a part of. As former programmer/systems analyst I’m accurate, detail oriented and have excellent analytical skills, insights and technical capabilities which I use to advocate for my clients throughout the buying or selling. I’m empathetic towards the stresses of buying or selling from my own personal experience of moving many times as I’ve lived and worked all over the region. My goal is to make the home buying or selling process stress free, enjoyable and a positive experience for my clients. In my free time I enjoy spending time with my family, friends and pets. I have a great love for animals, I’m an avid gardener and reader, I enjoy learning and I am constantly researching topics of interest and furthering my education. I believe in giving back to my community. Throughout the year I volunteer my time planning and hosting many fundraising initiatives and events with the proceeds going to help support local shelters and non-profit organizations. 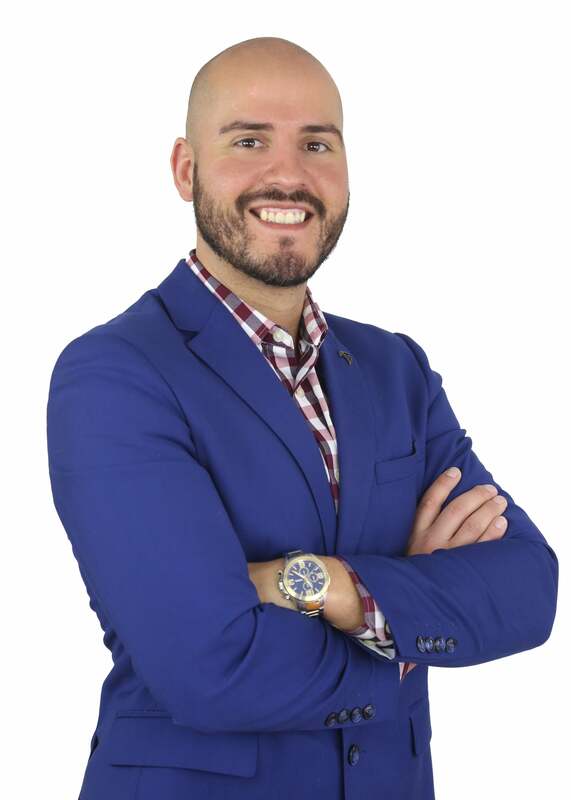 Nick Fernandez was born and raised in Cambridge, Ontario and always dreamed of a career in real estate. With a value-based approach, Nick assists buyers, sellers, and investors achieve their real estate goals at the highest level possible. Nick is also a member of the Canadian Armed Forces with the Royal Canadian Reserve, and understands the value of “Service before Self”. Nick graduated from Wilfird Laurier University with Honours in the Bachelor of Music Therapy program. In addition, he has toured with several recording artists as a musician across North America and continues to write and record. 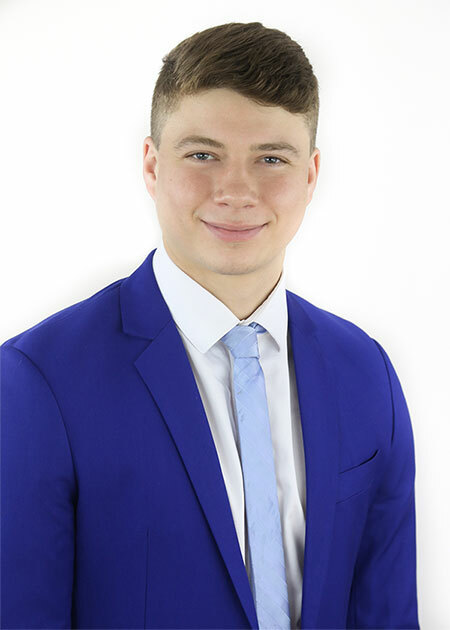 Nick is dedicated to personal development and especially to his clients, to ensure a smooth and rewarding process for all real estate transactions. As a result, Nick is currently one of the top-rates-agents in the region on Rate-My-Agent.com and continues to strive for excellent service and quality.